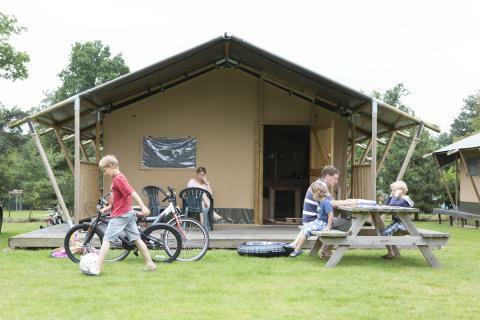 Vakantiepark De Pampel in Hoenderloo - the best offers! 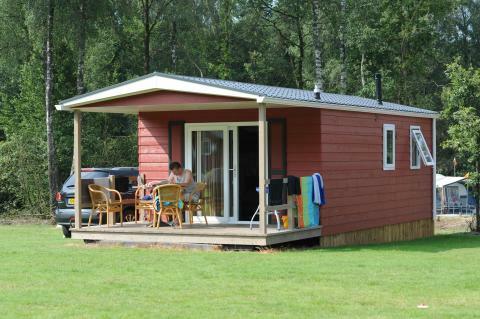 This price applies to 4-person cottage 2+2 (tot 12 jaar) Boomstam, with the arrival as 22 April 2019, 2 Nights. This price applies to 6-person cottage Cottage, with the arrival as 27 May 2019, 2 Nights. This price applies to 6-person holiday house Boerderij Comfort, with the arrival as 27 May 2019, 2 Nights. This price applies to 6-person holiday house Boerderij Royal, with the arrival as 27 May 2019, 2 Nights. This price applies to 8-person holiday house Boerderij Grand, with the arrival as 27 May 2019, 2 Nights. This price applies to 4-person holiday house Boerderij Wellness, with the arrival as 27 May 2019, 2 Nights. 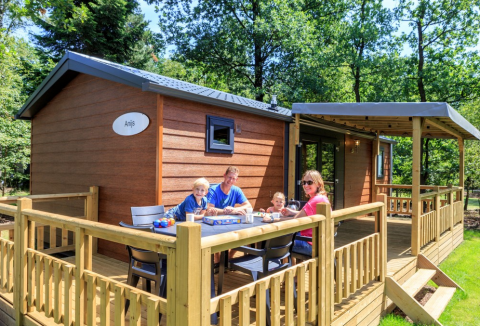 This price applies to 4-person mobile home/caravan Boslodge, with the arrival as 27 May 2019, 2 Nights. 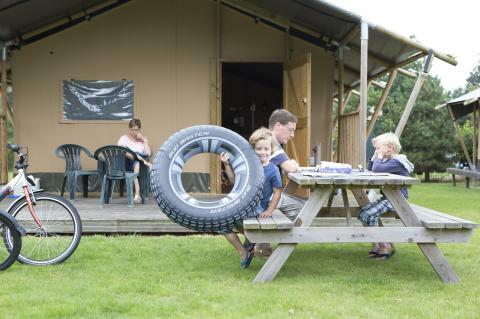 This price applies to 4-person tent Woodlodge, with the arrival as 27 May 2019, 2 Nights. This price applies to 6-person tent Woodlodge, with the arrival as 27 May 2019, 2 Nights. 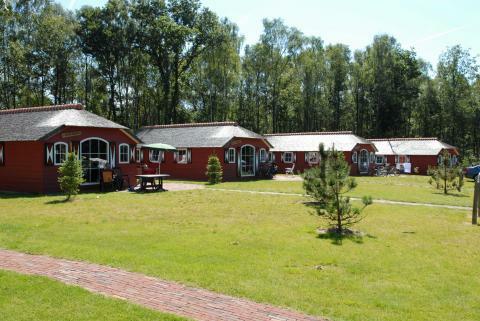 Vakantiepark De Pampel is a beautiful campsite in the richly-wooded Hoenderloo area of the Netherlands. Have you always wanted to sleep in a farmhouse? Now’s your chance! 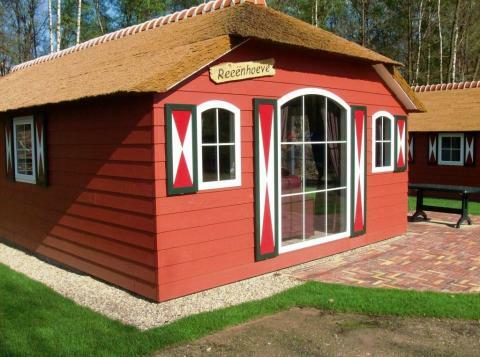 You can experience all of the traditional Dutch farm life with the comfort and convenience of modern facilities! Vakantiepark De Pampel is open year round and has various sports facilities for the whole family, from football to petanque. After a hot summer’s day you can take a refreshing dip in the pool, or rent a bike from the park and enjoy a relaxing ride over the moors. If you are staying in a Woodgalow you can use one of the sanitary buildings, including the recently opened Plaza Sani. These ultra-modern sanitary facilities are built to last and fully-equipped with heating and air conditioning. 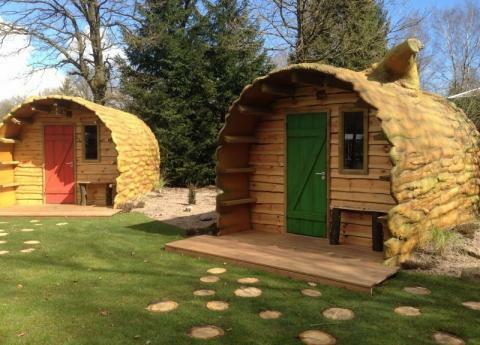 The kids can shower under the big tree in the "Spetterbos" and go to the toilet in a hunting lodge. The children will have a magical experience at Vakantiepark De Pampel. Thery can meet Aartje Twinkle, the ambassador of the Children’s Camping World, who will take them on treasure hunts in the forest. He will also have afternoons of singing, dancing and crafts with the children. He also does shows in the Twinkle Theatre. There is also an indoor play castle, a playground and a bouncy castle. Besides your fully-equipped kitchen, there are many dining options dotted around the campsite. Enjoy delicious cuisine from the region in the á la carte restaurant or enjoy a quick snack at the snack bar. An oven-fresh pizza can be ordered from the pizzeria Vakantiepark De Pampel. You can also buy fresh, local ingredients and cook delicious meals in your accommodation. 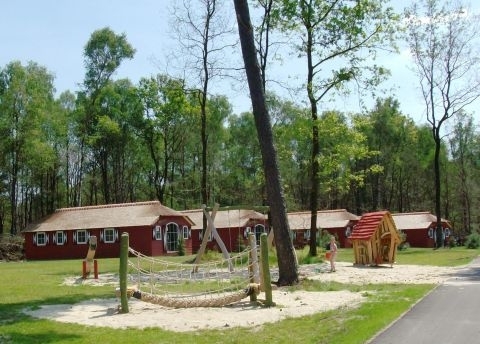 Vakantiepark De Pampel is in the middle of wooded Gelderland province. There are many fun attractions and activities nearby. For example, take a relaxing stroll through the woods or on the heath. In Apeldoorn, you can find an excellent shopping centre with lovely boutiques and cafés. You will also find a variety of museums and art galleries. Surprise the kids with a trip to Royal Burgers' Zoo, which is just a 30 minute drive away. If you are staying in a tree trunk, you can use the sanitatary facilities of the Sani Plaza.